NEW BRITAIN - When Darwin Shaw started the Osgood Shootout 26 years ago, it was meant as a way to not only provide the city of New Britain with a high quality baseball tournament, but also as a way to provide for future students. So every year, Shaw, who is also an assistant coach with the New Britain boys basketball team, awards six New Britain High School graduates with a $500 scholarship. 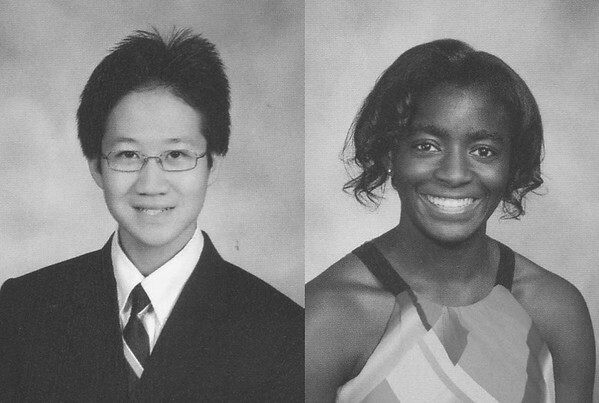 Two of those individuals are Adele Carr and Erasmus Gunawan, two students both involved in the New Britain community and who are going to college to further their education in the health science field. The other recipients were Inanna Rice, Chelsea Anthony, David Rybczyk and Jaylen Rivera. Gunawan will be attending the University of Connecticut in Hartford. While there, he will be majoring in biological sciences. “I hope to learn and understand natural remedies opposed to western medicine,” Gunawan said. While at New Britain High, Gunawan was involved in numerous organizations, including National Honor Society, Health Occupations Students of America (HOSA) as well as being involved with choir. Gunawan first had Shaw as a gym teacher and knows the kind of impact the coach can have on students, not just athletes. Carr, another recent NBHS graduate, will be attending the University of Maryland, majoring in public health science. Like Gunawan, Carr was a very involved student, inside and outside of New Britain High School. She has earned numerous honors as a high school, including serving as vice president of the Science National Honor Society. She was named Most Outstanding Student her senior year and took place in many musicals. She took place in the Hurricanes annual powder puff game and track and field. Outside of school, she was involved with dance, tennis, plays many different types of instruments and earned her second-degree black belt. Posted in New Britain Herald, New Britain on Monday, 27 August 2018 21:16. Updated: Monday, 27 August 2018 21:19.